Perhaps things would’ve ended better for Romeo and Juliet, had Romeo brought the Verona Wine & Cheese Picnic Basket along. 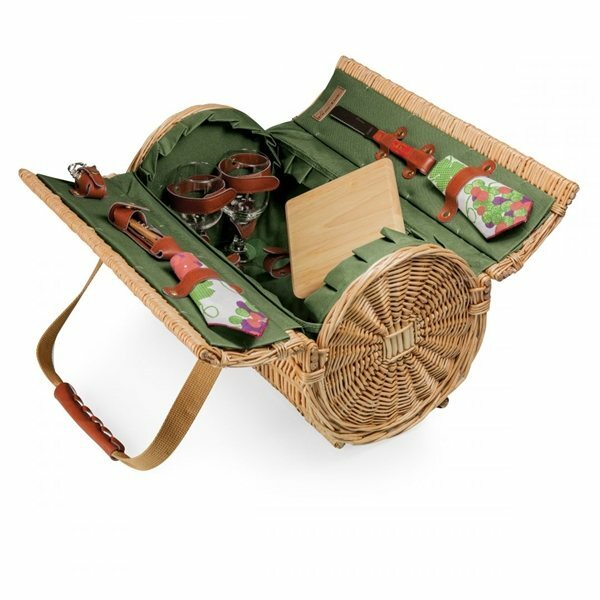 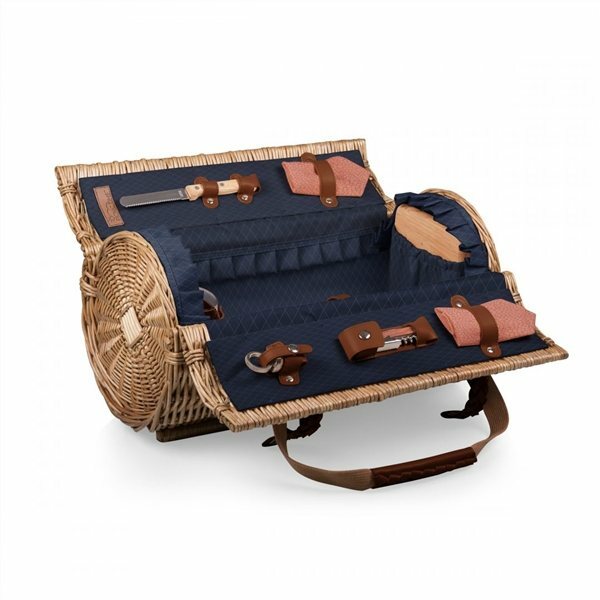 Willow construction; Fully-lined interior; Canvas carry straps; Wine and cheese service for two. 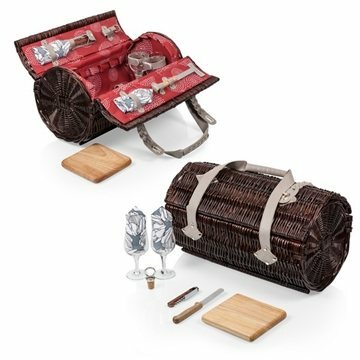 It comes complete with: 2 hand-blown wine glasses (7 oz. 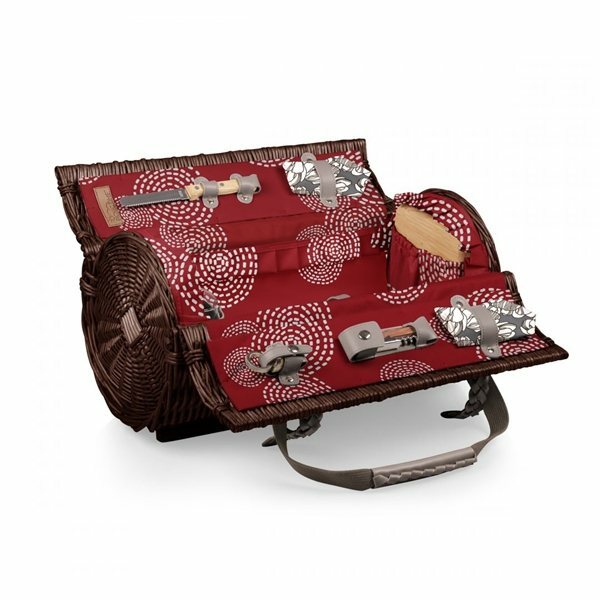 ), 1 nickel-plated bottle stopper with real cork, 1 stainless steel waiter-style corkscrew, 1 hardwood cutting board (6" x 6"), 1 stainless steel cheese knife with wooden handle, and 2 napkins (100% cotton, 14" x 14").